Reports are coming in that an American passenger fell overboard while on Royal Caribbeans Oasis of the Seas and then was rescued by a Disney Cruise Ship not far behind. The local news source is Milenio which is based in Mexico and it;s reporting this incident which is very unusual. 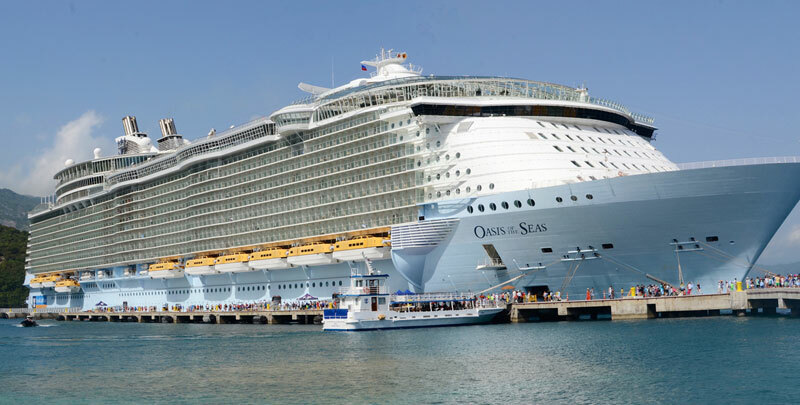 Apparently on Thursday morning (January 8th 2015) an American passenger named Frank Jade fell overboard while Oasis of the Seas was sailing just off the Cozumel, Mexico coast. The site then goes on to mention that crew members from the Disney Magic then saw him in the water. A rescue boat was sent from the vessel to save him. The Oasis of the Seas didn’t know Frank jade had gone overboard. Frank Jade was up early in the morning and was on one of the open decks when a large wave caused him to fall off the huge 225,300 tone vessel. Another site reporting the incident is Cruise Law News where Jim Walker mentions “It should be a major embarrassment that a passenger can go overboard without Royal Caribbean detecting it lost a passenger at sea.” That is a very important question indeed. For a change a man overboard incident has had a good ending with the American passenger in a stable condition and not with any serious injuries. After being dropped off in Cozumel’s Punta Langosta he was taken to a local medical center. Oasis of the Seas is currently on a 7-night western Caribbean cruise and will be back at its homeport in Fort Lauderdale on Saturday Jan 10th. The Disney Magic is also on a western Caribbean cruise and will be back at its home port in Port Canaveral, Florida on the Jan 11th. Cruise Hive has reached out to Royal Caribbean for more details and will update this report once we get a response.